NAK Squad Bug Report system. If you have found a bug on any NAK server you may report that bug here. 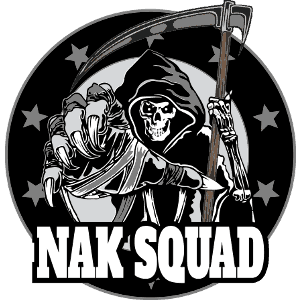 We very much appreciate when users report any bugs you find, it helps NAK Squad remain one of the top Arma communities. Upload a File (Image, Sound, Text or Video) File upload can be anything that help identify the bug. "Admin request permissions in TeamSpeak". Have you been looking for the Easter Egg billboards? If you can find them follow the instructions for a chance to win a 25$ steam gift card. Contest ends 4/30/19 at 11:59 pm Eastern Time. #Wasteland server is now open in beta mode. Required mods are @RHSUSAF and @CBA_A3 optional mod is Enhanced Movement. More info can be found on our home page https://t.co/jhHvVetjn9. Bored at work? You can always watch the #NAKTAC mission live on #YouTube or catch up on previous mission. Subscribe to our channel to and get alerts to all the mission when we go live. Interested in how #Zeus sets up our #NAKTAC missions? Here is some video of the setup for last Tuesday’s mission. Feel free to post any questions you have.